7-A. 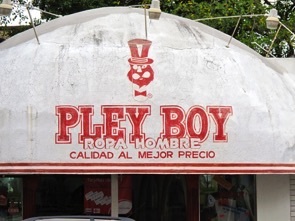 Tienda de ropa. I took this picture in Coatza. 7-B. Corbata. Have students bring in ties and see if they can follow along! 7-2. Running of the bulls. 7-3. San Fermín festival guide. 7-3. News link. Running of the bulls. 7-5. No te preocupes. Salsa Jazz. 7-5. No te preocupes. Fun song. Warning: Too risqué for most classes. Best to just play the audio. 7-5. No te preocupes. Fun reggae song. Warning: References to marijuana. 7-6. Cielito Lindo. Very classy. 7-6. Cielito Lindo. Mills Brothers version. 7-6. Zapatos de tacón. Favorite shoes. 7-6. Zapatos de tacón. Silly song.